With the start of school right around the corner, the SF Bay Area chapter would like to reflect back at the impact we’ve had in our community this past school year. On Sunday, August 5th, as the Oakland Athletics played the Detroit Tigers, PCA-Bay Area was honored as the Non-Profit Partner of the game. Learn seven different strategies that coaches can implement to create a better mutual understanding and respect for referees. Read the seven different reasons as to why we get frustrated with officials and different steps to take to get our emotions under control. When it comes to being recruited, the process starts by looking within and being honest when asking yourself "what do I want out of my college experience?" Learn how discussing politics and sport can be mutually beneficial in creating a discussion and discourse between one another. We celebrated PCA Day at Stanford University in the Men's Basketball home opener versus Cal Poly and were able to share PCA's message of "better athletes, better people." The AD went on to tell me she attributed this reaction by her students to Newark Memorials' work with Positive Coaching Alliance. The new Jr. NBA Parent Initiative, developed in conjunction with the PCA, is designed to educate parents through resources to help give kids a positive youth sports experience. The Bay Area’s preeminent corporate 3x3 tournament occurred on Saturday, Oct. 7th inside the Golden State Warriors training facility. This Menlo-Atherton High School Football coach won the 2017 Double-Goal Coach Award. Know a coach like Adhir? Nominate that coach now! While getting parents to attend informative workshops may seem difficult, following these guidelines from Cal Magic SC can help improve attendance. It’s a historic month and year for PCA-SF Bay Area. The SF Bay Area Chapter will close out the with 387 total workshops delivered between September, 2016 and August, 2017. Positive Coaching Alliance would like to thank the San Jose Earthquakes for involving us in this special community event. What athletes need to perform well and have a meaningful athletic experience is similar to what people need in the workplace - connection, purpose, and belief they can improve. PCA staff and Trainers joined USA Football, MaxPreps, and the San Francisco 49ers at Levi’s Stadium to support coaches and players from more than 30 high schools. These teams teach common lessons for coaches, parents, leaders and athletes that go beyond the rivalry and can help make better athletes, better people. On Friday, March 3 PCA-SF Bay Area held its 9th Annual Triple-Impact Competitor Scholarship and Awards Dinner. Ravipati has been named one of four winners for an all-expenses-paid trip to Palo Alto to participate in a panel discussion on-stage April 22 at PCA’s National Youth Sports Awards. After a 5-year layoff, the San Francisco Bay Area Chapter of Positive Coaching Alliance officially reinstated the Silicon Valley Shootout 3x3 Basketball Tournament. In her role as celebrity ice cream scooper, Brandi made an appearance on the video board, her passion for the PCA mission coming through clearly. It’s a historic month and year for the PCA-SF Bay Area Chapter. The chapter will close out the fiscal year with 385 total workshops delivered – an All-Time PCA record. 2016 has seen an unprecedented increase in the amount of soccer programs partnering with PCA. 18 new clubs have held workshops; increasing our soccer club partners to 42. 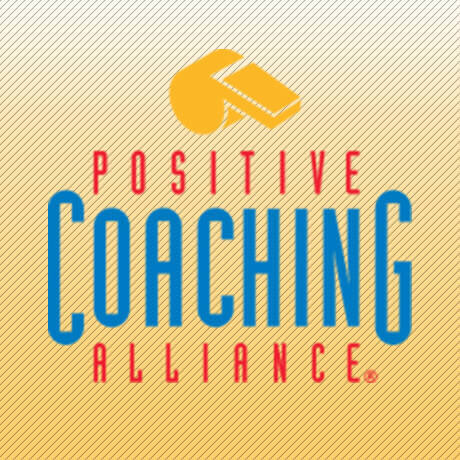 Congratulations to the seven winners of our Chapter’s Double-Goal Coach® Award Presented by TeamSnap, four of whom also were named among PCA’s 50 national winners. A recap from the 2016 Scholarships Awards and Dinner event that took place on March 24th, 2016. Highlights from a panel discussion featuring prominent football players, coaches and leaders. Inside our Chapter's partnership with the City of San Jose.